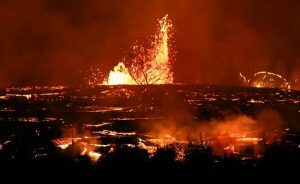 As I thought about what to write in the blog this month, my mind kept wandering back to the images of Kilauea that have been in the news lately. I have a friend who lives on one of the smaller islands, so my interest in Hawaii comes naturally. Actually, it started sooner than that. I read a children’s book a long (long, long!) time ago about Pele, the goddess responsible for volcanic activity according to the local lore. I wish I remembered the name of that book, but it had lava flowing towards a girl’s house but it stopped in time. 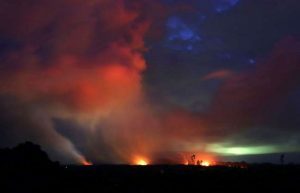 Pele was kinder in the book than she is right now for many people living on the Big Island who have already lost their homes. Although, she is kind in that nobody has died. 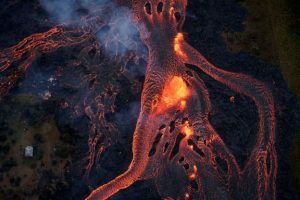 Unlike in movies, this volcano’s lava is slow enough that people can escape it. 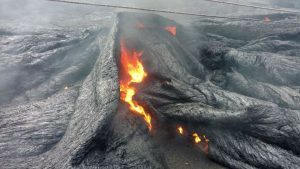 As a writer, I’m fascinated by the way the lava hardens at the surface but still slowly oozes forward to form folded layers. Nature’s sculptures I call them. Truly beautiful and like nothing I’ve seen before. 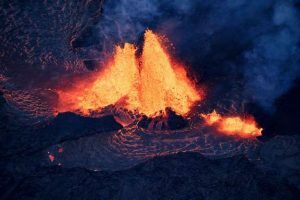 The other thing I learned about volcanoes is they don’t always explode from a single cone at the top and spew lava down the sides. 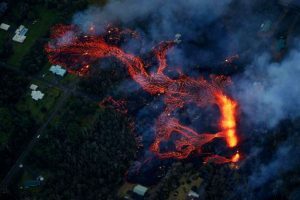 This one has twenty plus fissures all spewing lava that’s reshaping the landscape. 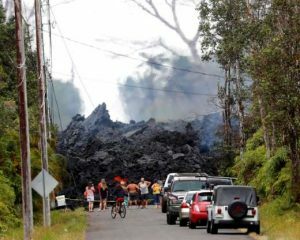 It’s striking how deep the lava is when you see the images of it on the road. 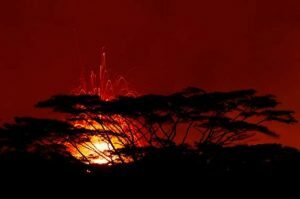 Volcanoes are beautiful to look at from afar, but they pollute the air with ash and deadly gasses. You get volcanic fog (vog) from the fissures and lava haze (laze) when lava hits the ocean and creates steam filled with sulfuric acid and tiny glass crystals. There’s definitely a lot of good research material here for whenever I need a volcano in a story. The pictures here are indeed worth a thousand words and I’m grateful for the technology that can capture these images without risk to people. My thoughts and prayers go out to all who are affected by this. I hope everyone stays safe and is able to find new housing if they’ve lost theirs. These images are copied from the online news articles that appear on MSN. Previous Previous post: I have a video on YouTube! Next Next post: Chameleon is out!